Van Amersfoort Racing has a long history of launching talent into the international spotlight. Back in 1992 the team won the Benelux Formula Opel Lotus championship with Jos Verstappen, followed by more race and championship winning succes with drivers such as Tom Coronel, Christijan Albers, Bas Leinders & Laurens Vanthoor. Perhaps the most well known story is that of Max Verstappen. After a race winning season with Van Amersfoort Racing in Formula 3, Max signed for Toro Rosso/Red Bull, becoming the youngest F1 race winner ever. 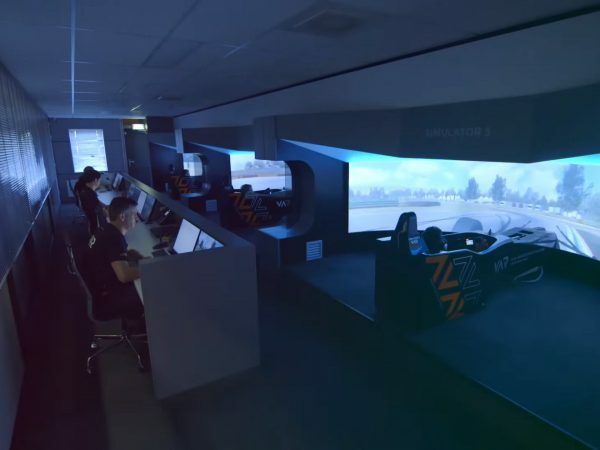 At the Van Amersfoort Racing headquarters the team has built a state-of-the art simulator room. This area houses no less than 3 simulators and has a fully functional engineers desk which provides access to telemetry and timing. All simulators at Van Amersfoort Racing are equipped with Heusinkveld Sim Pedals Ultimate.